It was a busy weekend for the Ontario Provincial Police (OPP) as they carried out their Canada Day Long Weekend enforcement and education campaign, with a focus on aggressive drivers. On Friday, June 28, at approximately 2:48 a.m., a Grey County Ontario Provincial Police (OPP) officer observed a parked vehicle on the south shoulder of Hwy. 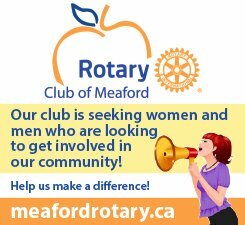 26 near the 7th Line in the Municipality of Meaford with its four way flashers on. On Sunday, May 6, 2012 at approximately 4:20 p.m., Grey County OPP officers were conducting R.I.D.E. on Edwin Street in Meaford when a Ford Ranger pick up truck was stopped.